manager in Kirton, near Boston. Lincoln Crown Court heard the car was in an un-roadworthy condition when it was sold to the woman buyer on 8 September, 2017. Jonathan Goulding, prosecuting, said the vehicle's prop shaft and rear drive shafts were missing after being removed by a qualified mechanic the day before. This meant the car's brakes could fail and the rear wheels could come off. Mr Goulding said the car's new owner noticed a "crunching" noise the day after buying the vehicle and took it to the Whittington garage in Kings Lynn where the defects were observed. 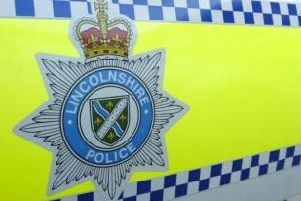 The garage in Kirton was contacted but on 13 September Drury and an associate arrived at the Whittington garage with a recovery truck. Mr Goulding told the court Drury claimed to be a trading standards officer and carried out an inspection of the vehicle. He also tried to drive it away but the garage became suspicious. Drury of Garfit's Lane, Boston, pleaded guilty to the supply of a dangerous product on a limited basis that he had no involvement in the sale and attempting to pervert the course of justice.